Steph Thannhauser: It's my blog birthday today! Time flies when you are having fun! Carry on enjoying blogging. Hi Genna So nice of you to drop by. I love your blog too! Oh happy happy Blogiversary to you and may there be many years of blogging and you sharing your creativity. 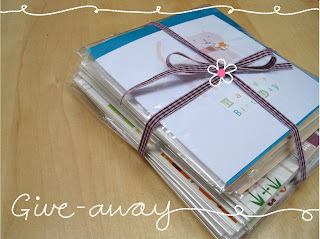 I would love to win these, I think hand made cards are precious, a lot more love gone into making them. I'll put you in the draw Shaheen. This week my colour palette will mostly be this!